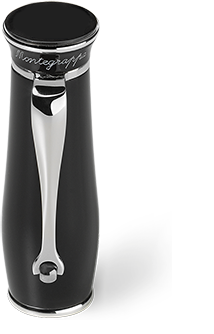 Amphora fountain and rollerball pens possess the curvaceous, almost human form that is rounded in ways which ensure that the pen falls naturally to the hand. 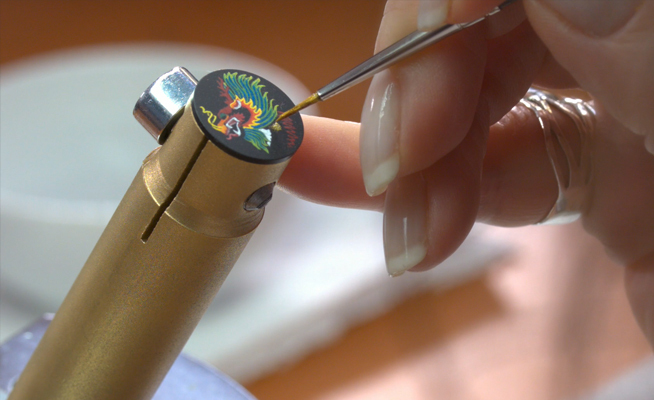 The cap disc can be either hand-painted or hand-engraved, with any design element the customer might wish it to carry. Your Amphora pen will join the objects handed down from one generation to another. To ensure that the pens of the Amphora Collection are to be treasured, each is a bespoke offering. 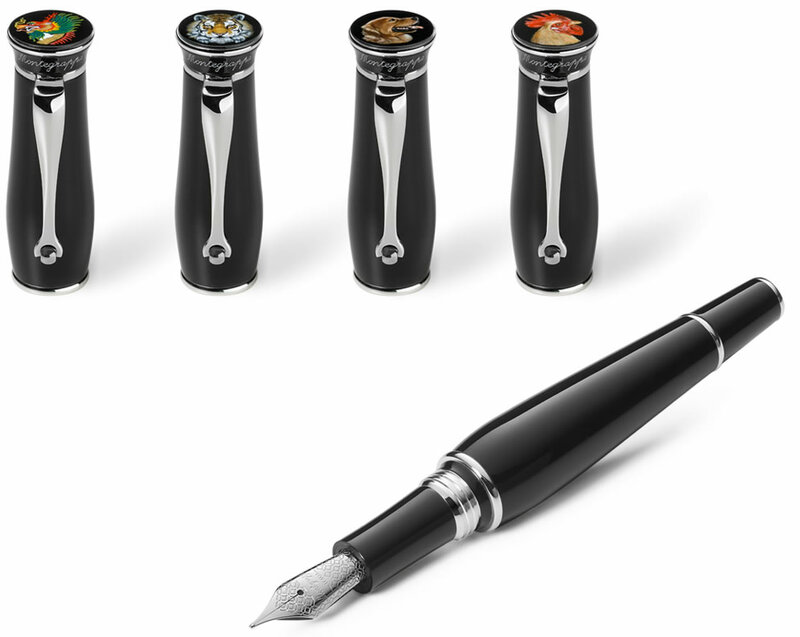 The pen thus becomes a personal statement, and the customised writing instrument, manufactured in pastel black resin with sterling silver trim, is rendered unique according to the cap top. The cap disc can be either hand-painted or hand-engraved, with any design element the customer might wish it to carry. Crafting techniques to achieve this added personalisation include miniature hand-painting with modern acrylic colours or hand-engraving with a burin. Additionally, you can choose from the 12 exquisitely hand-painted or hand-engraved cap tops depicting the Chinese Zodiac. 1. Select mode: fountain pen or rollerball pen. 2. Choose nib grade, if interested in fountain pen. 3. Select version: engraved or painted. 4. 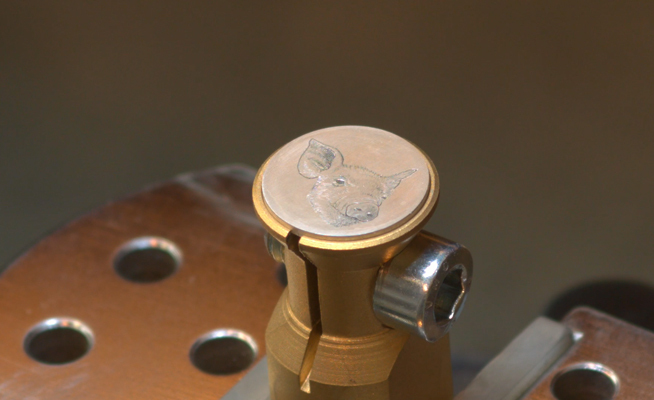 The cap disc can be either engraved or painted by hand with an image chosen by the client. If interested in this option, please select "Custom image" from the drop down menu. 5. If interested in personalisation with chinese zodiac signs, please select preferred animal from drop down menu. 6. Proceed with the order. 7. One of our specialists will contact you shortly to define next steps.